The Laminated 100% Recycled Shopper from Gemline is a great deal at $2.98 EQP. That is because this large grocery shopper comes in a number of stock imprint styles, that allow for a lot of pre-printed design, to which you can simply add your our company brand. This is reusable grocery size tote, made from 100% PET recycled fabric. 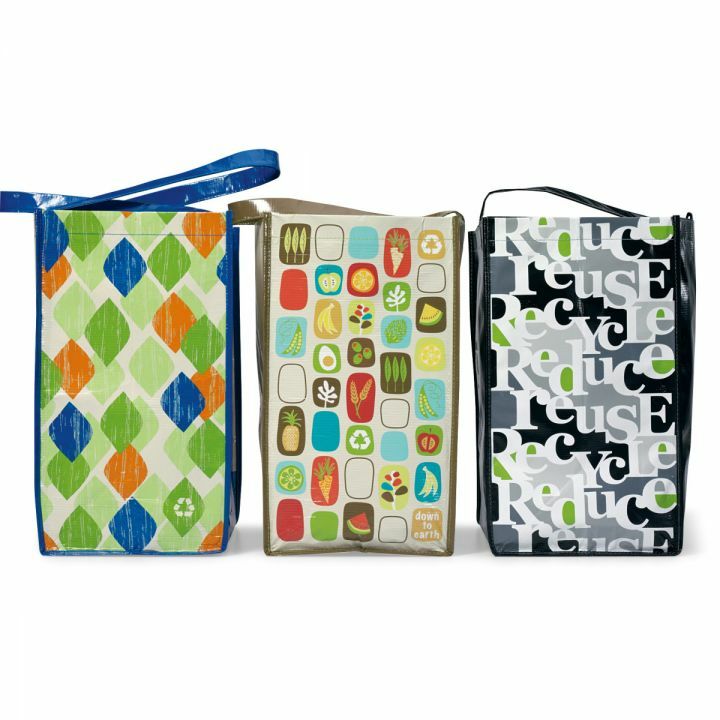 The Laminated 100% Recycled Shopper is both kid-friendly and CPSIA compliant. Each bag is about the equivalent of three recycled plastic bottles. And I did mention these bags are big, right? We like these bags for farmers markets, new residents gifts, and local recycling programs. Because of their size, and that they are basically water proof, they also make really good beach totes. If you are interested in the these bags to promote your own business, or to get a sample, email info@proformagreen.com for information and pricing.